We, the founders of Ethiopian Satellite Television (ESAT) not only fully concur with Article 19 of the UN Universal Declaration of Human Rights that “everyone has the right to freedom of opinion and expression; this right includes freedom to hold opinions without interference and to seek, receive and impart information and ideas through any media and regardless of frontiers.” but will aim to use it as the guiding light of our television station. As specified in our founding document, ESAT will serve as a conduit for citizens to express their opinion freely, to access reliable information and to play its part in the struggle to build a democratic Ethiopia where the free flow of information is the cornerstone of a free country. * The station will be known as Ethiopian Satellite Television (ESAT). * All programming will be controlled by the station. 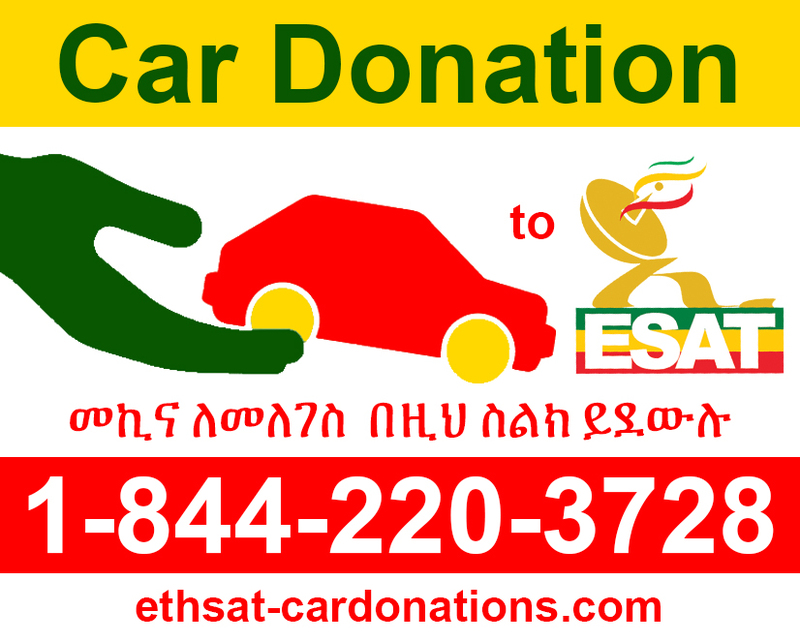 * Owned by the ESAT Foundation and Advocates for Democracy and Media Inc (ESAT-USA) both non-profit organizations. * All equipments (audio, video) are the property of the TV station. * Amharic will be the working language. * All programming will be in Amharic. However, programs in other Ethiopian/foreign languages will also be used. * Programming in other Ethiopian languages will be produced when funding becomes available. * ESAT will use all universally accepted terms in its programming. * All programming will be authorized by the Editor-In-Chief. * ESAT can provide air time to a third party in accordance with its contract. * ESAT will strictly abide by all intellectual property rights. * Regular News will be aired at specified time and should be announced to the public. * News broadcasts will be measured on the basis of its factual content, information, educational value, and its ability in redeeming social security to the general public. * Extraordinary events could be presented for their entertainment value. * All sources should be strictly checked for veracity. * Documents presented as evidence should be double checked for accuracy. * News presented should adhere to the highest standards of quality and professionalism. * Will be presented as required. * Every effort will be exerted to check for accuracy and authenticity. * Analysis on the vital news topics of the day should follow immediately thereafter. * The analysis should be objective and well balanced. * An in-depth analysis backed by well researched/ well documented materials (politics, economics, history or social issues). * Stories should not reflect the views of any political party. However, representatives of political parties can appear on the show as guests to discuss the chosen topics. * The station is obligated to protect the privacy of its sources. * Discussions on a broad range of pertinent issues (political, economic, social) covering a wide spectrum of views. * The forum will be open to all groups provided they meet the strict requirements of engaging in civil, constructive, objective and intelligent discourse. * The host of the program will make every effort to give equal time to all the diverse views. * The rules of engagement will be clearly set by the host. * The host has to be well prepared and knowledgeable about the subject matter. * ESAT will cover the expenses of invited guests when necessary. * Guest hosts, provided they meet the station’s requirements can be invited to host programs. * The station reserves the right to repeat any programming on its merits or at the request of the public. * The station is not obligated to give any audio or video copies to panellists or any other third party. * The discussion could be live via satellite connection. * All interviews will be conducted in Amharic when broadcasted to viewers. * They have to meet the station’s guidelines. * The station is not obligated to offer a copy off its program, whether audios and videos to participants or any third party. * A deliberate confrontational or argumentative interviews to grab media attention will not be aired. * The station reserves the right to cut off live interviews when such incidents take place. * Interviews can be conducted live via satellite. * ESAT hosts will address its guests as dictated by Ethiopian cultural norms (Mr/Mrs/Dr/Prof/Ato). * ESAT will broadcast music in various languages. * Cultural programs will have a dedicated air time. * Ethiopian as well as non Ethiopian music will be strictly examined to avoid culturally or religiously offensive material. * The Music show will need to entertain as well as promote love, peace, harmony, encourage unity and build a strong sense of community. * Any music that promotes ethnic/religious/gender strife will not be broadcasted. * Films shown have to be produced in Amharic or English or can be translated in Amharic or English. * Preference is given to films that are empowering, positive and with an overarching theme of personal and societal responsibility, good citizenship that will help build a strong community and strong country. * Films shown as a mini series should be inclusive with a mass appeal to attract a large audience. * Culturally/religiously offensive films will not be shown on ESAT. * Movies that glorify selfishness, greed, hate and cruelty will not be shown. * All films produced should maintain a high standard of audio and visual quality. * ESAT accepts documentary films produced in other languages but cannot air them unless they are translated into Amharic. * Any film that counteracts the overall vision and mission of the station will not be aired. * Documentary films that do not impart a clear message or do not have a compelling social value will not be aired. * Documentary films once produced become the property of ESAT and the station reserves the right to give the film to the participants or any third party. * All sport programs will be broadcasted in Amharic, even if they were produced in other languages. * Football, track and field and other sport programs to be broadcasted should have mass appeal. ESAT will not broadcast any sport events that lacks good sportsmanship. * Comments or analysis of sport events has to be professional. * ESAT produced programs are the sole property of the station. The station reserves the right not to turn over the contents of the program to participants or any other third party. * The quality of programming has to maintain the highest standards of professional quality. * ESAT will take immediate action to correct errors. * If there is no aggrieved party, the apology will be issued to the viewers.